Our story started in September 2017. I had similar working conditions on my film, The Hodag. My crew still remembers how I put them through a legendary Wisconsin winter, night after night of freezing cold, as we were chasing an imaginary monster called The Hodag (it is a real thing). Our producer keeps reminding me of the moment when, at 4am, we were all seeing little rainbows shining from ice particles floating in the air in the rays of lights from the HMIs. It was cold… So cold our prop light, a gas lantern would freeze and interrupt the shoot… So cold we were worried about frostbite. – What is your favorite : EXT WINTER NIGHT or EXT SUMMER DESERT ? sou want to tell your crew the truth about the weather and how it might be a little different then what they are used to, but on the other hand, you also want them to say : YES! I’ll do it! All of this is to say that I was predisposed to fall in love with color correction and post-production. Every morning, I wake up 5:30am, boot my PC – which I had to rename Harpy (I just switched to Windows for this project after years of thinking Apple was the beginning and end of all things). I stretch again and think about color, and I feel like some sort of musician or performer, only much, much easier. I felt so grateful and lucky to able to contribute to the story in my own way. Color has such an immediate impact on the audience’s experience. Being the last person that will ever touch the image felt like an incredible responsibility. The First Time You Watch it : Do It In lOG! Get Inspired! Make a Plan! I watch the film and let the story come to me. The first time around is the most important and I always document how I feel. It is the audience’s empathy for the characters, and the arc of the story that should indicate how the color should be. It doesn’t mean the plan can’t change, but a colorist ought to offer a singular vision and go beyond the director’s expectations. Just like an editor, the colorist should honor the first intention, but should always be ready to offer an alternate solution. This is why, I like to watch a film for the first time in log mode. It helps me to focus on the writing and let me see imagine what the color could be. Otherwise I find myself evaluating the technical opportunities for color instead of focusing on the emotional impact of the story. Another Reason To Watch In Log : The Footage Needs Repair! Yomeddine was a grinding shoot and was made possible by a very tight group of dedicated friends. But the sometimes the camera and the equipment doesn’t understand that and shows weakness. 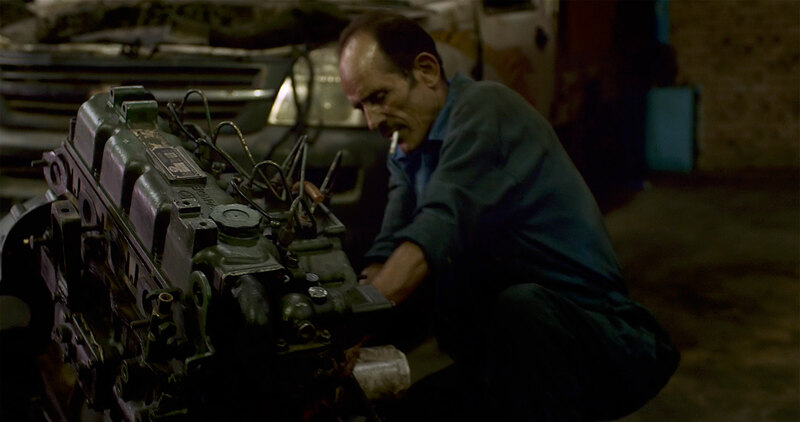 I ended up as an associate producer on AB Shawky’s Yomeddine, but my favorite part of working on that film was color. It is a delicate film. Each theme and storyline in the film is carefully understated. 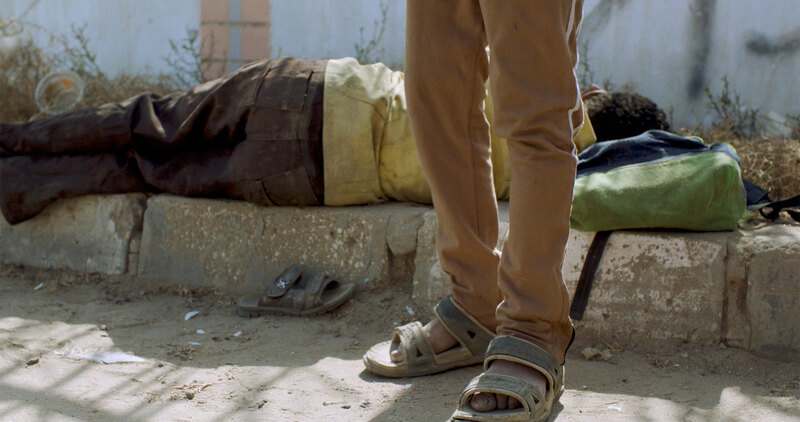 For example, Beshay (the main character) is a Christian and he pretends to be a Muslim several times during the film to avoid bringing more attention to himself. Despite being a severe look at the state of contemporary Egypt, the film is mostly tender and about love and the meaning of family when you are an orphan or an outsider. I used to joke that the film is a romantic documentary. AB told me later the film actually started years ago as a documentary. All this to say that color has to follow the story. In this case the film couldn’t bear a heavy-handed style. We needed to follow the main characters journeys and their relationship to the world around them. At the time I was transfixed by the three part movie, Moonlight, (Indiewire’s article about Moonlight), inspired by colorist Alex Bickel, we decided to cut the film in three parts (following basically the loose three act structure of the film) and use a slightly different treatment for each of them. The audience wouldn’t necessarily notice it but it would unconsciously help time pass and make the audience understand that the characters are slowly shifting towards a tragic end. The film was shot almost exclusively with natural light and pretty much entirely handheld, except for the use of a Steadicam for a dream sequences. Low light situations were especially challenging and matching shots became a priority over creative choices. In general, I find that the less exposure the less possibilities in the color room. Natural light is especially complicated to color if the director wants long and many different takes. The light changes so fast from take to take. You might end up having to color the entire scene to match the least exposed shot and therefore “downgrading” all the other ones. Yomeddine has its cold and cruel moments, and it was challenge to think about ways to translate that into color. 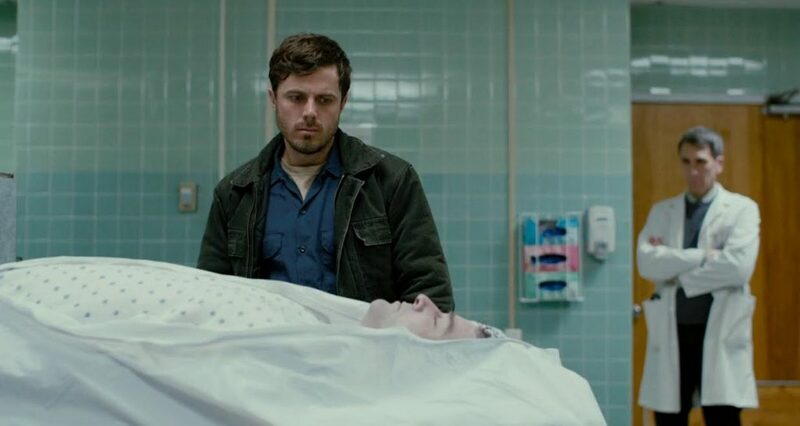 One of my favorite film in 2016 was Manchester By The Sea. I still remember the distinct colors and soft shades of crystal blue and green. Despite the intensity of the story and the trauma of the main character, I was totally shocked by the softness of the contrast, the clarity and the apparent simplicity of the balance. The elegance of the tones of blues and greens is still a reference to me. It was the opposite of your typical heavy drama / heavy contrast type. (Just like the upcoming Beautiful Boy, which I am really looking forward to seeing). Another thing that Manchester-By-The-Sea reminds us is that location scouting is everything. By shooting in the North Shore, the weather and the landscape gave all the tools one needed to get the coldness across, without having to manufacture it. Yomeddine, by contrast, is located in warm and hot Egypt where winter and summer tends to blend together. There wasn’t ice or snow or shivering actors to make you feel the cold. We had to find another strategy. After studying the problem, we realized that shaping shadows and texture was the way to go. We had to find gravitas without forgetting the overall lightness of the piece. The shadows in this shot was shaped to make to pretend the source of light came down on Beshay from high above. It is a little “god-like” but it was appropriate considering the importance of religion and fate in the story. – Yomeddine means Judgment Day! The Mood-Board : Is It Useful? AB had prepared a mood-board. Those are really useful to create a language between the director and the colorist. They also lead, at times, to disappointment, because we bind ourselves to the limitations of the footage. A good way to use a mood-board is too place moods as cardinal points around an imaginary compass, and to have this as a common language to communicate more economically. And communication we desperately needed. We had planned the entire post-production to be in NYC. 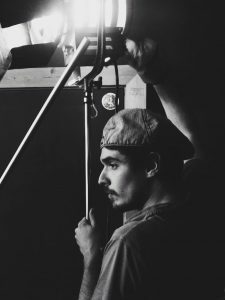 The film being low budget, we were doing 90% in-house studio and 10% in Theater, combining sound re-recording mixing and color, thinking this would optimize the time and budget. My company was essential to this process. At Round Two we save you money while maintaining a high standard. This, in turn, gives tranquility of mind. Obviously this is best achieved when the team is working hand in hand. Streamlining our workflow saved the film time and money. In the meantime, I warned the team that my wife was going to have our daughter any moment. Timing was extremely important. If everything went according to plan we would schedule the mix right after the birth. When The Plan Goes Wrong And You Realize DaVinci Resolve Just Saved Your Life! And then, this masterful plan went down the drain when AB wasn’t able to get back to the US. His visa had expired, and current immigration policies have become a nightmare for immigrants like him. Thus, the only way to follow through with our plan was using a remote live color grading workflow. This where DaVinci Resolve (14 at the time) shines like no other software on the market. We found a lab in Cairo and created a network between my grading suite and the lab’s projector. We used OpenVPN to create the network. We were finally able to work together from the other side of the world. That was truly a magical experience. When I saw that everything I touched was transmitted instantly to another workstation thousands of miles away I had an epiphany: This is the future. Months later, early one morning, the baby was sleeping (finally), I had just got out of bed to make a fresh café latte, and I would connect by video conference with AB on the other side of the world. We had to give each other some physical cues like sharing what we were eating or drinking, to make us feel that we were in the same space, but once we were settled in, and began to work, the excitement was tangible. A challenge was the internet connection. Our work went slower than I would have liked, as the internet connection wasn’t perfect, and we lost contact every now and then. It became grinding, and we had to manage our expectations about speed, but slowly we go through every shot of the film. Our sound designer, David Forshee, eventually had to fly to Cairo to mix in person. There is still no good solution for remote sound mixing available. There is an opportunity to be had here, and someone should start working on it (maybe Fairlight?). All we would really need is the re-recording mixer to be working in a Dolby Certified Theater while depending on the budget the director could just be sitting in a simplified mix studio. The deadline for the Cannes Film Festival ended up coming faster then anticipated. I had to rush. I burned the 6x Blu-ray, watched and tested every single one of the them, created a simple jacket and a disk cover, printed all the stickers, and drove to a FedEx warehouse by the airport before midnight. I took a picture with my phone, sent it to AB and his wife (and producer) Dina : this is it! Sent! I came back home thinking now it was time to take care of the baby and give my wife (who had been so supportive) a break. Weeks later, we received the news that we were an Official Selection at Cannes. From that point on, everything started falling into place. The list of deliverables came and it was time to make the final version of the film. New partnerships were formed, last minute new logos created, and new credits added, and so on. We did our QC and DCP Digital Arts in NYC and off we were to Cannes. The first time we ever saw the film all together, projected in a theater, was the night of the Premiere at Cannes. That too was magical for words. When the credits rolled at the end of the film, there was a standing ovation that lasted more than five minutes. Through the thunderous clapping, and the sounds of Bravo echoing in the theater, we knew that everything we did had been worth it.